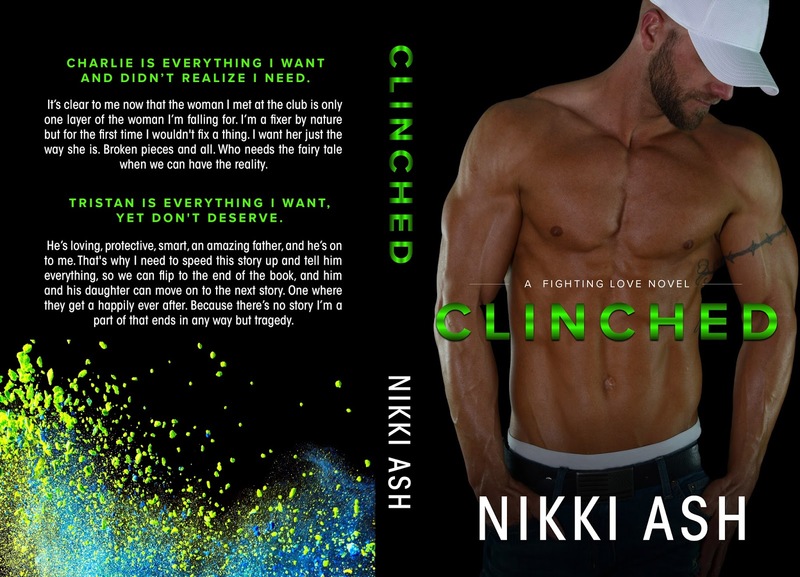 Clinched is my first Nikki Ash read but won’t be my last. Tristan and Charlie both have a painful past and together are able to move forward. Tristian is a single dad, stepped up and just doing his best for himself and his daughter. It seriously makes my heart flutter. Charlie’s story is a little more devastating but watching her grow really ties it all together. The writing flows nicely back and forth between the two POVs and I’m looking forward to reading more. Tristan is a good man with a massive heart , don't get me wrong,he's all alpha and protective but he's also gaurded and careful , poor man has had his fair share of heartache . Charlie's story just ripped my heart out and there were times where I'd commit murder wirh a smile on my face but orange so isn't my colour! She has a difficult and painful past and I'm so grateful I got to be part of her healing journey with Tristan and Lexie.